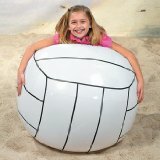 Learn basic volleyball rules and discover simple ways to modify the rules for young kids, beginners, and those with disabilities. 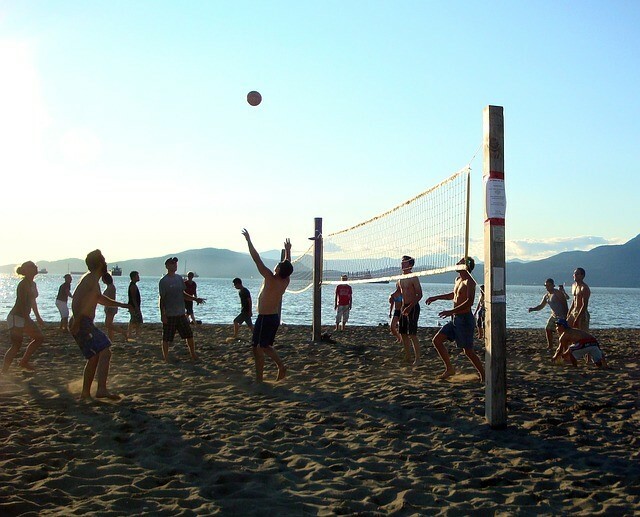 This game can be easily adapted to enjoy indoors and out on the grass, in the sand beach, or in the pool. The volleyball basics below include the 4 ways to play the ball, fouls, blocking, and substitutions. 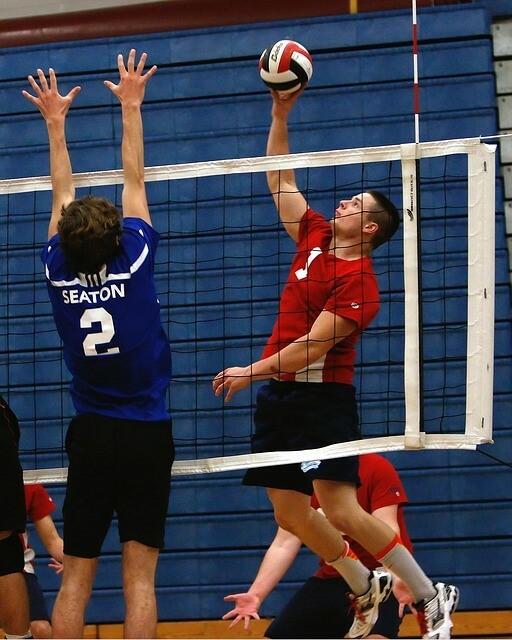 See Rules of Volleyball: Part 1 to learn about the player positions, court dimensions, length of game, equipment, serving, and scoring. Each team may touch the ball a maximum of 3 times before hitting it back over the net. Contact is allowed with any part of the body above the waist as long as the hit is clean and the ball is not held, scooped, or carried in any way. If 2 players contact the ball at the same time, it counts as 2 hits. A hit is good if the ball touches the net and drops in bounds in the opponent's court. The ball is out of play if it touches the ground or any object outside of the court boundary lines. Used to hit a ball that's below the head. It's typically the best way to return a serve. The hands are clasped in front with the thumbs together, side by side, with one hand wrapped around the fist of the other. The arms are held out straight with the elbows locked and the knees bent. Used when a player tries to place the ball up high in the air near the net, so that a teammate can spike the ball. It's used when the ball is above the head, and it's hit with the pads of the fingers. Contacting a ball that's above the net with the fingertips and tipping it over the net in a controlled fashion. Striking the ball over the net with such force and downward angle that it's difficult to return. a player hits the ball while reaching over the top of the net on the opponent's side. a player crosses the vertical plane of the net (either above or below it) and touches the court or an opponent while play is in progress. 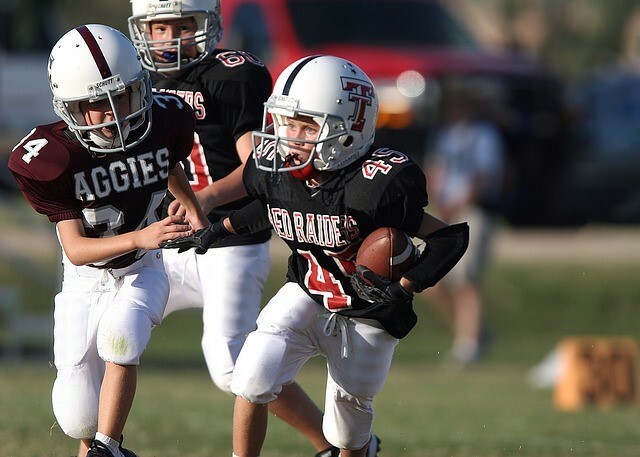 a player interferes with an opponent's play. a team hits the ball more than 3 times before it goes over the net. a player touches the ball 2 times in a row before another player touches it. a team is out of position when the serve begins. the ball is held or pushed. 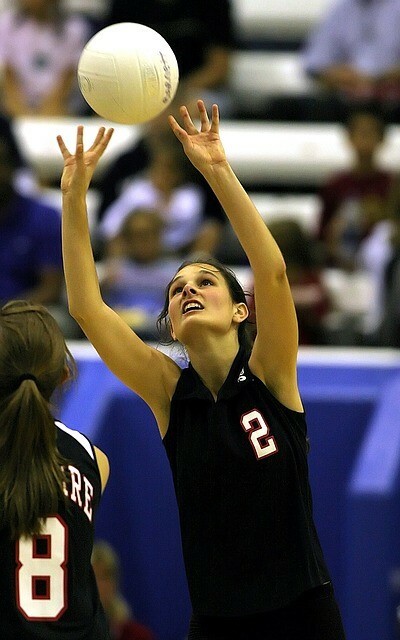 a player on the back row returns the ball from above net height. the ball doesn't go over the net in between the vertical rods. the ball touches the ground outside the court. the ball is returned with the use of a teammate as a support. a player reaches under the net and touches the ball or an opponent while the ball is on the opponent's side. a substitute enters the game illegally. 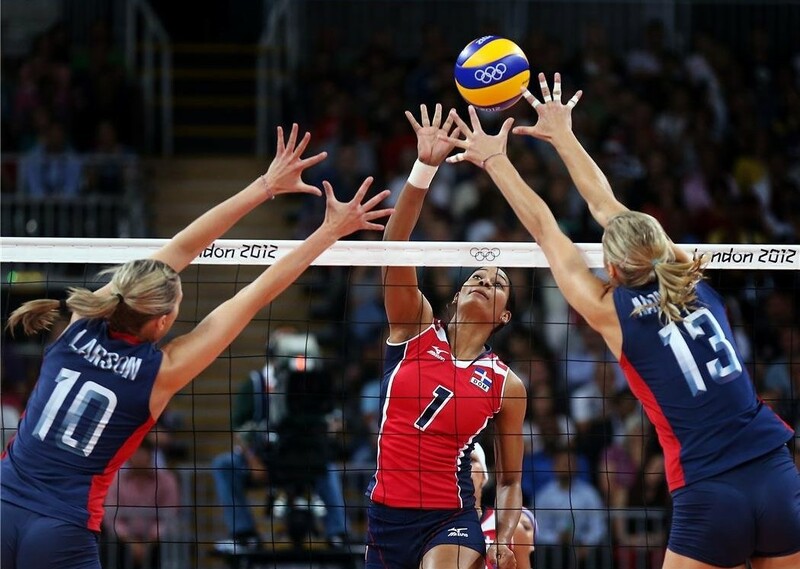 Blocking is an attempt to stop the ball from coming over the net with any part of the body.One or more players on the front row can try to block the ball as long as they indicate their intent by raising a hand above the top of the net. If the ball touches more than one of the blocking teammates, even if it doesn't hit them at the same time, it only counts as one hit. Each team may make up to 6 substitutions in each set, but only when the ball is dead. Anyone playing at the start of a set may be replaced only once. The original player may go back during the same set, but she has to return to her previous rotational position. A substitute who leaves the game cannot return in the same set. A sub may be replaced only by the player whose place she took. 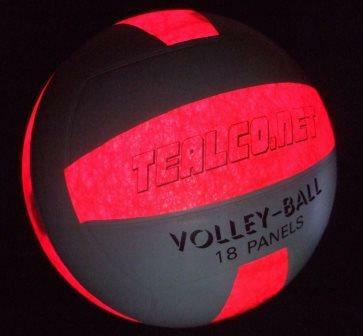 Depending on the number of players, skill level, available equipment, or the size of your playing area, you can modify the basic volleyball rules to fit your needs. Use a bigger, lighter ball like a beach ball or balloon. Play with several balls at the same time. Have either more or less players on a team. Use a larger court if you have a lot of players, and a smaller court if you have fewer players. For an indoor activity, have players sit down either on the floor or in chairs. With a beach ball or balloon and a low net, lie down on the floor and hit the ball with your feet. Throw the ball over and catch it before it hits the floor instead of hitting it. 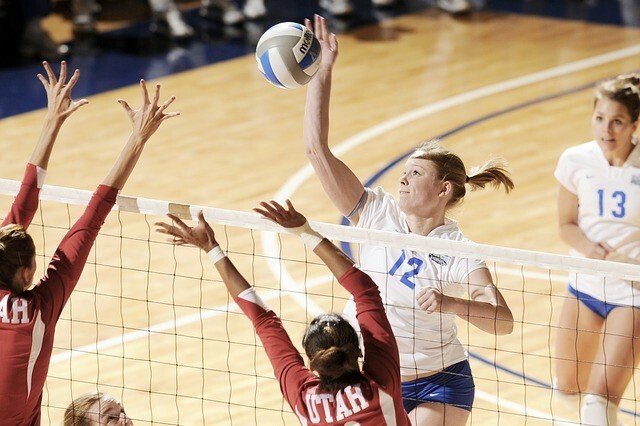 Don't set a limit on the number of hits a team can have before returning the ball over the net. Allow the ball to bounce before returning it. These are just a few ways to tweak the basic volleyball rules to fit your needs. Maybe they'll give you some ideas for adapting the game to make it more fun for your group. If you want to get a little more serious, check out the official rules. For players with disabilities, find basic volleyball rules for Sitting Volleyball in the Guide to Disabled Volleyball. 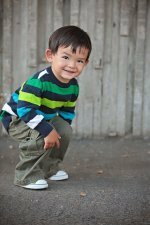 To find some fun kids sports activities that include modified volleyball games, check out our list of free kids games. 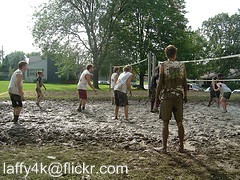 In addition to basic volleyball rules, find simple rules for other popular sports.